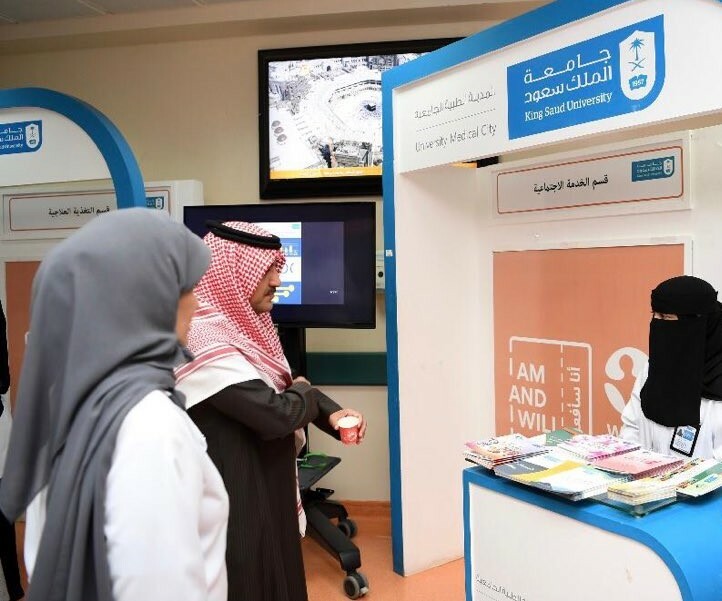 Prof. Abdulrahman Al-Muammar, CEO of KSUMC, has launched the cancer awareness campaign organized by KSUMC under the slogan "This Is Who I Am And This Is What I Will Do" on Monday morning in conjunction with World Cancer Day in Outpatient Clinics Building at KKUH. The exhibitors have displayed the different types of cancer and latest developments and technologies in the diagnosis and early detection of cancer in addition to treatment plans for cancer patients. 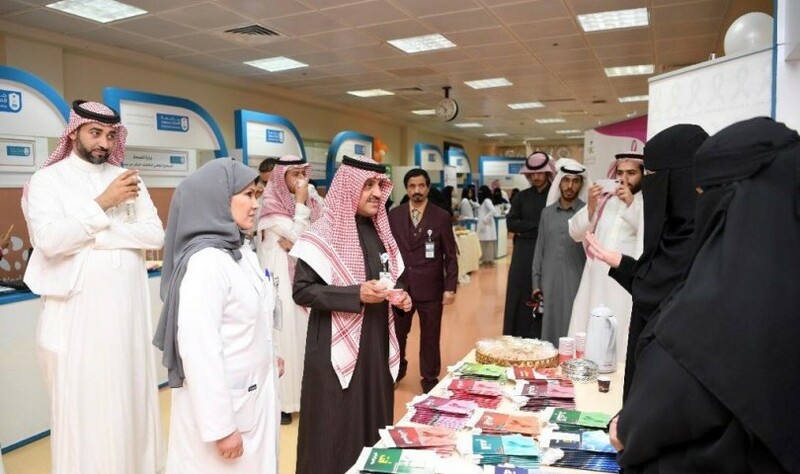 The Ministry of Health and the Ministry of Labor along with several charities have participated in the exhibition, which was attended by Dr. Khalid Al-Saleh, Director of University Oncology Center, Ms. Mona Al-Hajji, Head of Clinical Social Work Department, and a number of medical and administrative department heads and physicians specialized in this field. The exhibitors have stressed the importance of raising community awareness on ways to prevent cancer such as eating high-fiber foods, e.g., fruits, vegetables and whole grains and avoiding fatty and sugary meals as much as possible in addition to avoiding or quitting smoking. They have also emphasized the importance of regular check-ups and screenings especially for people aged 50 and older to help in the early detection of some types of age-related cancers, thus leading to better treatment outcomes. Prof. Al-Muammar said that KSUMC aims through this campaign to raise community awareness on cancerous diseases in general and educate the public on the importance of early detection of cancer. He further pointed out that KSUMC plays a key role in supporting awareness programs and organizing health events and activities to educate people on the importance of staying healthy and maintaining one's health by avoiding unhealthy lifestyles and diets. Moreover, Dr. Al-Saleh stressed the importance of leading a healthy lifestyle, exercising and following a well-balanced diet and expressed his thanks and appreciation to the organizers and Prof. Al-Muammar for sponsoring this campaign, hoping that its message will reach all members of the community.